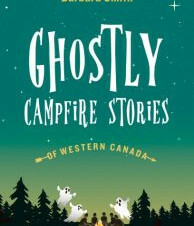 In this delightful companion to the bestselling Campfire Stories of Western Canada, Barbara Smith scours the spookiest corners of local folklore from Vancouver Island to the Canadian Rockies to the vast plains of the Prairies to bring readers a brand-new collection of ghost stories. Combining truth, legend, and a healthy dose of suspense, Smith weaves together over thirty bone-chilling tales perfectly suited for reading aloud on family camping trips or quiet nights at home. 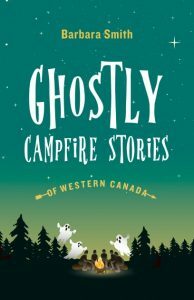 Suitable for ages eight to eighty-eight, this frighteningly fun collection reveals the supernatural side of Western Canada.